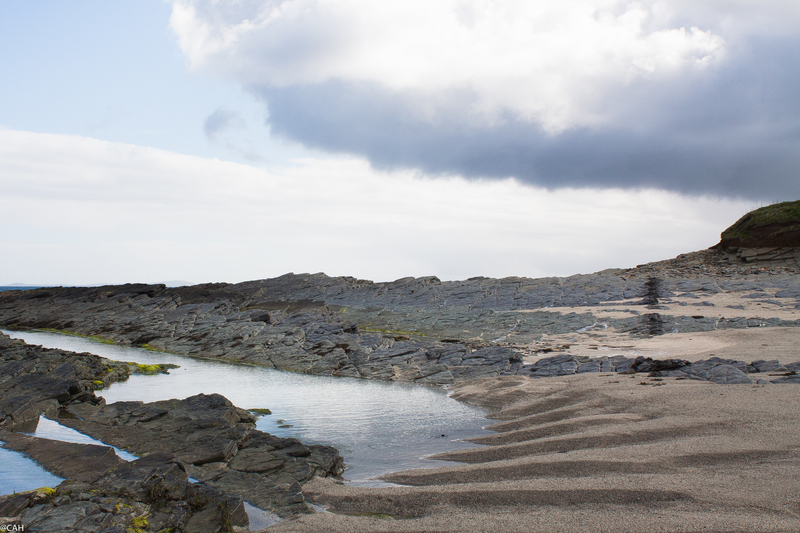 The first port of call this morning was Birsay, only accessible at low tide. 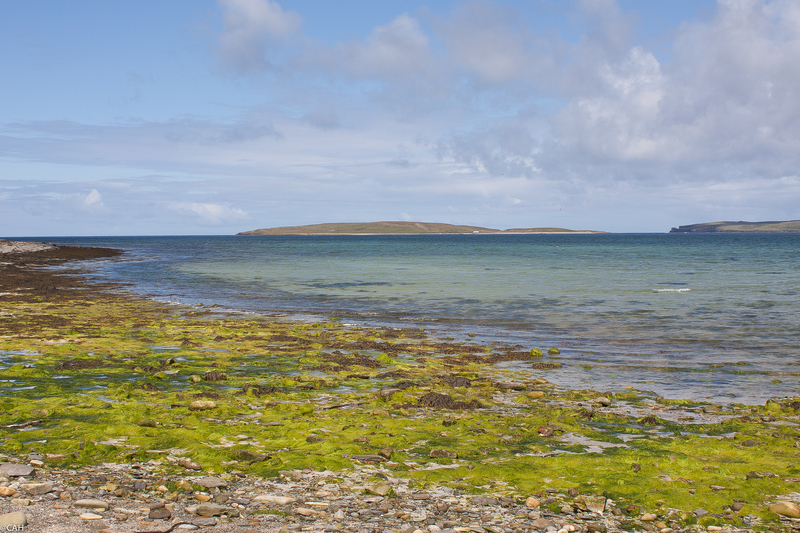 The Brough was where the Bishopric of Orkney was based before it moved to Kirkwall and there are the remains of the church and associated buildings here. After we crossed over to the island, we found the grass being mowed and strimmed around the Brough so headed up over the top of the hill (every incline is a bit more training for the volcanos we will be hiking in Sicily in September) to see the lighthouse. 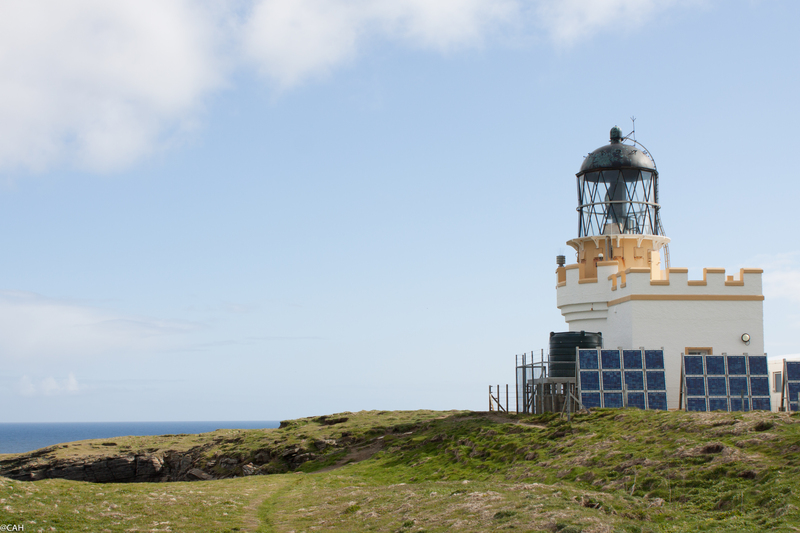 The lighthouse is automatic and solar powered. 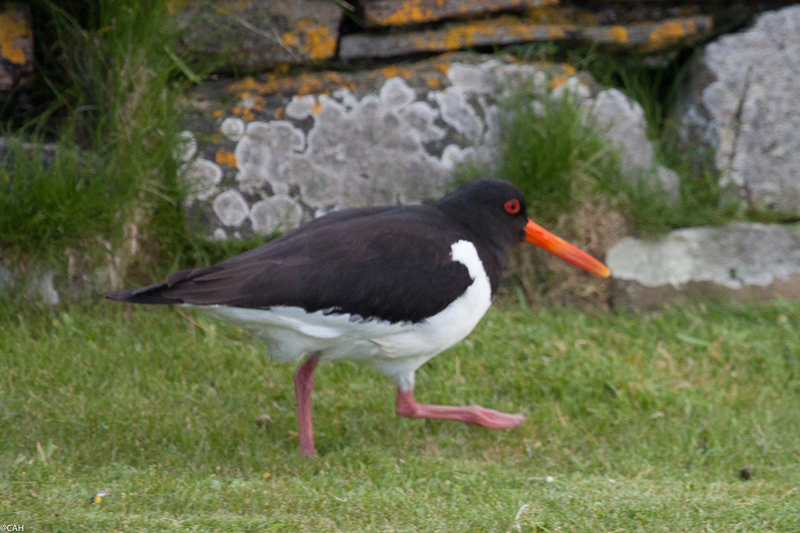 Oystercatchers were seen and heard on top of the island and back down at the Brough, one in particular was hanging around. In the village we look in at the 18th century church and the Earl’s Palace whose inhabitants have had a chequered history. We then dropped by the antique centre and had a chat with the proprietor. I was intrigued by the story behind his move from Cornwall to Orkney and we talked about his origins in the Scillies and unhappiness with the way he felt Cornwall was heading. He was happy in Orkney but like the woman we spoke to yesterday, very unhappy with the ocean liners which now arrive, disgorging coaches full of people who hurtle round the sites (and usually arrive at Birsay when it is high tide). I found a book to add to my natural history library (Furred Animals of Australia) and had to stop him giving me a ridiculous discount on what was already a cheap book. After that, it was time for a beach walk on Evie Sands. 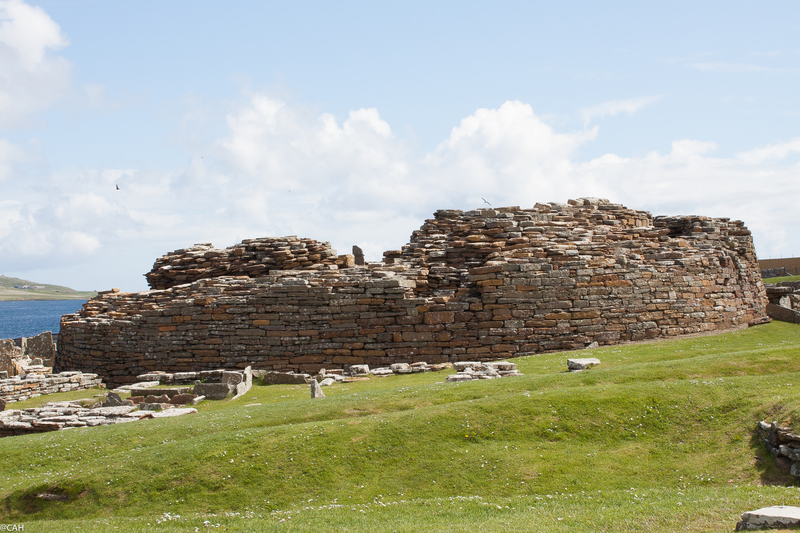 We then carried on along the coast and visited Gurness Broch. Unlike the brochs I recall from Northern Scotland, this one has houses built around it which were occupied during the life of the broch.